This is a really powerful example of how you can use logical consequences to transform your parenting. What are your go-to parenting techniques? When you have to discipline your kids, do you have tried and true methods that are effective at curbing unwanted behavior without breaking your child? How do you stay calm in out of control situations? Positive parenting experts agree that when it comes to discipline, two of the biggest tools in your belt should be natural consequences and logical consequences. 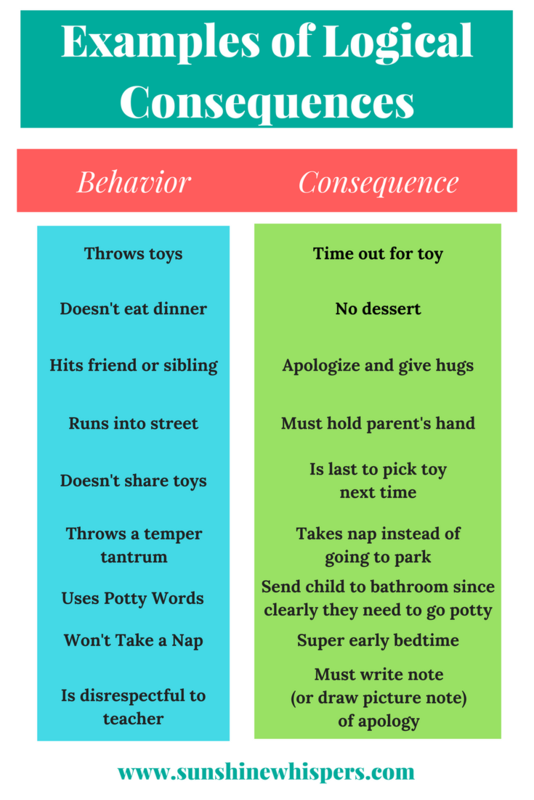 If you aren’t using logical consequences you are missing out on a super effective way to teach your kids that actions matter and boundaries exist for good reasons. When Frozen premiered in November 2013, our family was blissfully unaware. Oh sure, we knew there were millions of little girls worldwide who used Anna and Elsa to embrace their inner divas. But our little girl, an only child, was only 1 year old. The Frozen phenomenon had passed over our household. There were no howling winds swirling inside our walls. No frozen fractals tormented our souls. Imagine my surprise when a few years later, our 3 1/2 year old little girl came home from school and boldly announced that she wanted to watch Frozen as soon as possible. This was the start of an intense love fest with the ice queen and her gullible younger sister. As Moms we like to think we are open-minded, flexible, and permissive– at least under the right circumstances. So, I was down with Olaf and company. I thought Elsa was an empowering role model for my daughter: a strong, decisive leader, able to thwart would be assailants with icicles. Turns out though, that despite what the ‘love experts’ would have predicted, our relationship with Frozen crashed through the thin ice. Clearly, my husband and I were not amused but we attributed her behavior to being 3 years old, and going to school with kids who had older siblings. Of course she had always been a volatile child. Spirited. Intense. Loud. Demanding. This was merely a more sophisticated version of behaviors she had exhibited since birth. Except this was different. There was something different about this bad behavior. It was calculated. It was something completely unexpected coming from a 3-year old whose very limited screen time mainly consisted of Mickey Mouse Clubhouse, Bubble Guppies, and Daniel Tiger. 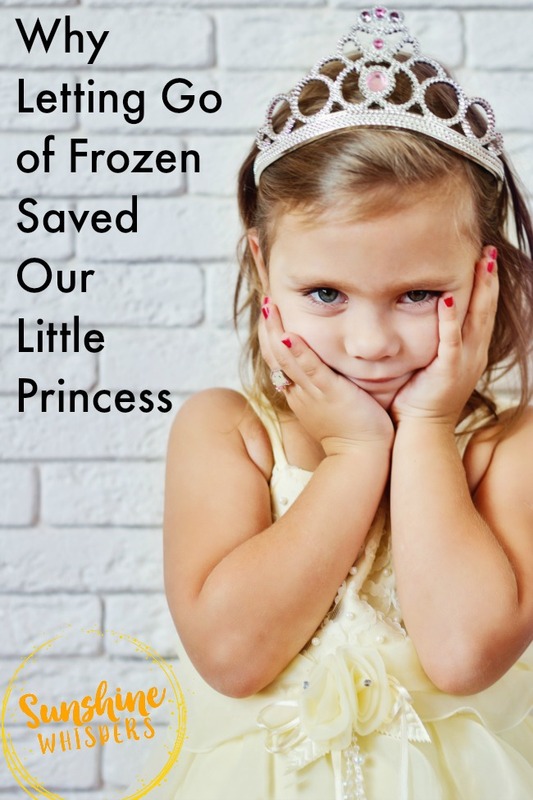 The day our family ‘broke up’ with Frozen was a colossal disaster. My parents were visiting (of course) and we had already endured a number of dramatic temper tantrums while out exploring local tourist attractions. After a failed and aborted attempt at an afternoon nap, I set up a craft to do with little Miss Crankypants. Painting together had always been a big hit. Everything was set up. Sweet Pea donned her smock and we tore into the acrylic paint. Let me repeat– Painting together had always been a big hit. To this day, if we are creating art or making a craft, my little girl wants me there, helping her, painting with her. It is one of our best ways to bond and on this troubled day I had hoped it would give her a bit of a reset. Clearly my husband and I do not want our daughter ordering us around like a little dictator. What Would Elsa Really Do? Alarm bells start going off inside my head. It took every ounce of self-control I possessed not to overreact. I took a deep breathe and in a very calm and measured tone of voice informed her that if Elsa was teaching her to do and say things that were not nice, perhaps Elsa would go away. I don’t think she believed me. Unfortunately, she persisted and things quickly escalated. More snotty demands were hurled across the kitchen table, but now they were followed by the intentional splattering of dark green acrylic paint. It was getting everywhere. Ugh. So, taking a cue from the previous conversation I informed the little tyrant sitting in front on me that if she did not stop behaving like this, I would throw Frozen out of the house. The consequence was clear. It was logical. I was prepared to carry it out. Painting was over. That was the other logical consequence. If you intentionally try to re-paint the walls and floors of the house, we move on to a less messy activity. That ship had sailed and the threenager was M.A.D. She started screaming, and flailing. I tried to clean her up but she squirmed away from me and started running around the kitchen wielding paint covered hands and a very dirty smock. The entire situation was out of control and my daughter blamed her choices, her attitude.. on Elsa. I don’t think she thought I meant what I said. But that is the thing with effective consequences. If you introduce a consequence and link it directly to a behavior, you must follow through. When I walked away from the paint monster and into the living room, she stopped sobbing, the drama giving way to concern. When I took the movie out of the DVD player and stuck it in the movie case, her eyes widened in disbelief. When I threw the movie in the trash can, she was momentarily speechless. Of course she was tired. Of course she was overwhelmed. Of course she was being three. But she also received a very powerful lesson that day. Actions matter. Choices matter. Mommy and Daddy set boundaries and we enforce them. There are best practices when it comes to using logical consequences. Logical consequences are logical because they make sense. If my daughter blames a temper tantrum on Elsa, her beloved movie goes away. If a child refuses to eat dinner, they don’t get dessert. If your kid doesn’t take a nap, they have to go to bed early. Logical consequences are not punishments that are unrelated to the behavior you want to correct. Talk with your child about what is expected of them and tie a direct correlation between that expectation and the consequence. This gives your child the responsibility to make better choices and gives them clear guidelines about how they should behave. This is a big one. Don’t introduce a consequence unless you are willing to follow through. Your kids need boundaries. They need you to set boundaries. If you don’t follow through, not only will your kids not respect your consequences in the future, but they will likely feel anxiety over your inconsistency. Even if your child is flailing around the kitchen covered in paint, it will not do you or them any good to lose it. Stay calm and in control and your demeanor will reassure your child, even if they are out of control. I would love to be able to tell you that she never had another temper tantrum, but I can’t. I do think this was the pinnacle of her volatile behavior though. For days and weeks later she would ask where Frozen was. Then she would make a direct correlation from her behavior to the consequence she received. And that is why logical consequences are so effective. PS– The story did not end that day. Fast forward 8 months and my now 4-year old is pretty much over temper tantrums… or at least the 3-year old version of them. So, we introduced another awesome concept to her– grace. A new copy of Frozen was under the tree at Christmas. We have been singing ‘Let it Go’ ever since. Previous Post: « National Zoo vs. Maryland Zoo: Which One is Best for Kids? Well said and a very effective approach to bringing up our little jewels! Loved this Sara! I know all about the woes of Frozen. You are such a great mama for following through. I know I have said something would happen and immediately regretted it. It’s so hard to follow through but you have to or that behavior never changes.